Quantum information processing is a new and exciting field that studies the implication of quantum mechanics for information processing purposes. This includes quantum computing, quantum cryptography, quantum teleportation and other forms of quantum communication that hinge upon quantum entanglement. 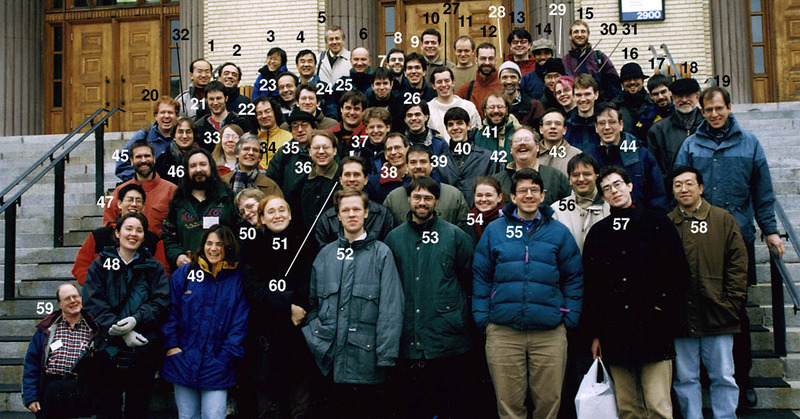 QIP 2000, which takes place just slightly before year 2000, is part of the 1999-2000 special year on Mathematical Physics, sponsored by the CRM. It is also the natural continuation of the workshops on Algorithms in Quantum Information Processing (AQIP '98 in Aarhus and AQIP '99 in Chicago). Like these workshops, QIP 2000 will put emphasis on the computer science aspects of the discipline, focusing on algorithms and information theory. The first day, 6 December, will be a day of tutorials aimed at nonspecialists who may have had no previous acquaintance with quantum mechanics. The speakers on that day are Charles H. Bennett (IBM Yorktown), Gilles Brassard (Montéal), Isaac Chuang (IBM Almaden), Richard Cleve (Calgary) and Daniel Gottesman (Microsoft). The technical sessions will start on Tuesday, 7 December, and continue through Saturday, 11 December. There will be ample time and facilities for informal interaction among participants. The invited speakers are Dorit Aharonov (Berkeley), Thomas Beth (Karlsruhe), Eli Biham (Technion), Harry Buhrman (Amsterdam), Claude Crépeau (McGill), David DiVincenzo (IBM Yorktown), Artur Ekert (Oxford), Christopher Fuchs (Los Alamos), Lov Grover (Lucent), Richard Jozsa (Bristol), Raymond Laflamme (Los Alamos), Hoi-Kwong Lo (MagiQ Technologies), Dominic Mayers (NECI), Tal Mor (UCLA), Michele Mosca (Waterloo), Michael Nielsen (Caltech), John Preskill (Caltech), Vwani Roychowdhury (UCLA), Louis Salvail (Aarhus), Peter Shor (AT&T), Umesh Vazirani (Berkeley), John Watrous (Calgary) and Ronald de Wolf (Amsterdam). Some financial support to help defray travel and living expenses is available for graduate students and postdoctoral fellows affiliated to a Canadian university. Please register by 8 November 1999 for attendance and accommodation, or 26 November for attendance only. Please indicate if you wish to attend the tutorial, the technical sessions, or both.